Interceptions from the internal control structure in the State Police found that the test thesis for Police Grade was sold 48 hours before the exam. Report TV learned from the investigative team that with the report filed to the prosecutor's office was made available to the investigators also the suspicion created by the interception of the two police officers on duty. The same sources explained that one of the officers who was also competing for the rank of Commissar was on the verge of another criminal offense, but while talking to cell phone with different persons is discovered the fact that he had the test questions. While not officially in intercepts is said that the test sales value ranges from 2500-4000 euros from one applicant to another. The criminal report in the Tirana Prosecutor's Office results to have been filed for a criminal offense and not a charge of a person or an individual. 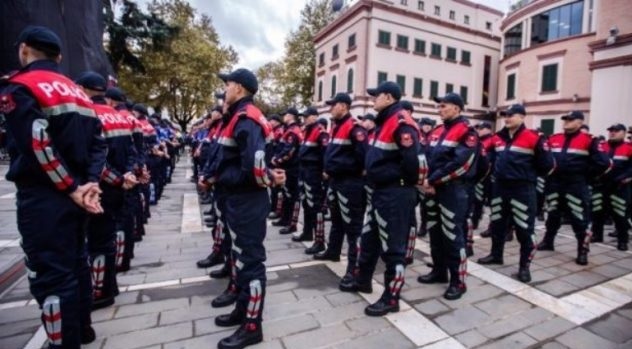 It is expected that next week will be testified by the main Policeman Ardi Veliu, his deputies, as well as Bilbil Mema, director of the Security Academy. In the circle of suspects are considered the members of the Commission and those of the confidentiality documents. This test was canceled after the announcement of the winners, and 6 days after it was certified by the subordinates of Ardi Veliu as well as representatives of Pameca who were also present during this exam. Draft test program for the rank "Commissar"
This testing was scheduled to be rebuilt after the cancellation, but with the launch of the secrecy investigations, the allegations of corruption and the sale of the test made Mr. Veliu cancel it until this case will be fully investigated. This is the first case in the Security Academy the test is canceled on suspicions that the thesis was sold by disowning the secret of the questions that applicants would have to answer to win the title "Commissar".